Darius Miller finished his college career having played more games for the University of Kentucky than any other player. The Wildcats' championship game and Miller's last collegiate match was his 152nd appearance for the team, surpassing Wayne Turner's previous record of 151 games. 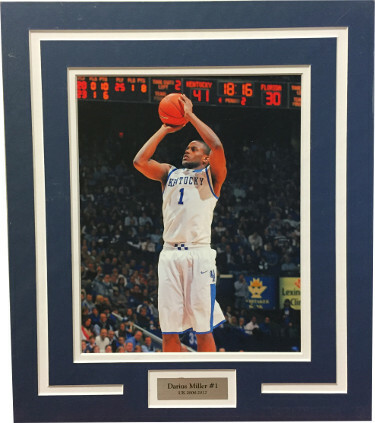 This is a Darius Miller unsigned Kentucky Wildcats 8x10 Photo and Matted (13x15). Photo is already wrapped in plastic and matted and ready to add a frame to it. Matted size is approx 13 x 15 inches.